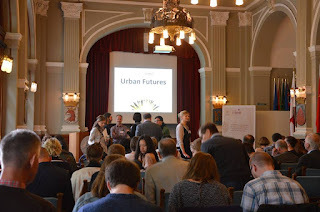 The GUST project in collaboration with the Malmö Innovation Platform organised an international workshop on Urban Futures on 27 May 2015 at Lund University. With over 100 registered participants, the event explored the goals, impacts and afterlife of innovative sustainable initiatives in cities. The event featured several GUST researchers presenting, including Harriet Bulkeley, Niki Frantzeskaki, Yuliya Voytenko, Oksana Mont and Kes McCormick as well as James Evans and Carina Borgström-Hansson from the GUST international advisory board.